For today’s mid-week must-haves I’m all about lace up flats! I think they are so simple and effortlessly chic! You can wear them to work with a little shift dress or style them with some ankle crop jeans and a chunky sweater for date night! Below I have listed the links to each of these adorable flats; some are clearly on the wish list and some are super affordable. Check it out! 1.) These Loeffler Randall cheetah flats are clearrrly on the wish list, but I think they are so cute and could add that little last pop an outfit might need! 2.) This pair of Rock & Repulic flats are really affordable and would go with everything! I love the gold heel! 3.) Sale alert! How cute are these snakeskin lace ups from Top Shop!? Did I mention they’re on sale? 4.) I love love these Jeffrey Campbell lace ups and they come in 8 different colors! I am crushing on the navy blue pair as well, I think they would look so pretty with a touch of maroon! 5.) This pair from Steve Madden look super comfortable and that taupe color is gorgeous and would go with everything! 6.) A red pair of laceup flats to add that pop of color to your winter wardrobe for under $50, need I say more? 7.) This is the same pair from Top Shop, but I just thought the cheetah print is so chic. 8.) I think this pair from Lulu’s look like dupes for the Jeffery Campbell flats, there’s not 8 colors, but they do come in 3! and they’re under $30!! Well, that’s all I have for today, I think I’m going to go shoe shopping now because I really want all of these flats! Hope everyone has a great Wednesday….half way there! 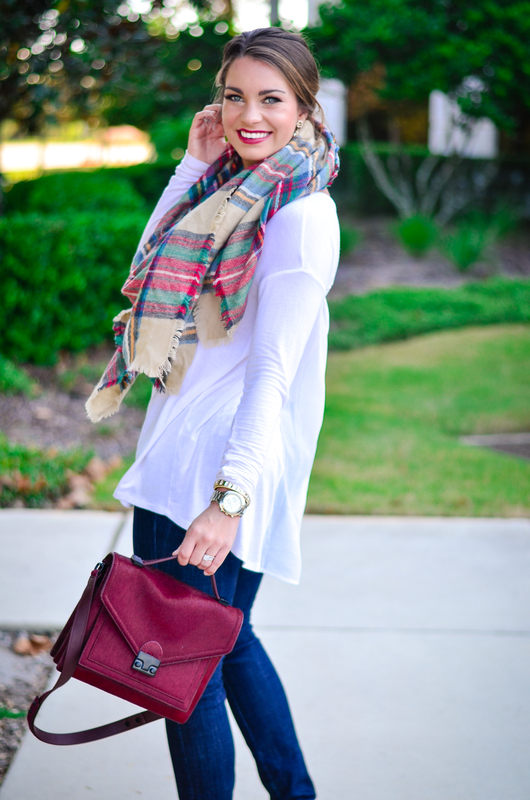 Affordable Fall Staples + Plaid Scarf back in stock!